…acting as a responsible employer within the community and ensuring that we put something back. We are pleased to confirm that Wilson Browne Solicitors has received the bronze award from the Armed Forces Covenant Employer Recognition Scheme (ERS). The ERS recognises commitment and support from UK employers for defence personnel, and recognises employers who support those who serve or have served in the Armed Forces, and their families. Since 2017 we have been working alongside Leicester Hospitals Charity providing legal surgeries on Wills, Trusts, Estates and Lasting Powers of Attorney predominantly for NHS staff. If clients instruct us we can prepare a simple will for a reduced fee. We encourage all to make donations to the charity which has to date included one person leaving most of their residuary estate to the charity! We are helping raise awareness as to the importance of wills and other private wealth matters together with leaving legacies to the charity. We also provide Easter eggs and advent calendars for the children in the hospital. Thousands of children spend Christmas in a hospital ward, making it a difficult time for them and their families. Wilson Browne Solicitors wanted to create a little magic to brighten up their spirits and so the firm have donated 100 selection boxes to two local hospitals for the children to enjoy. 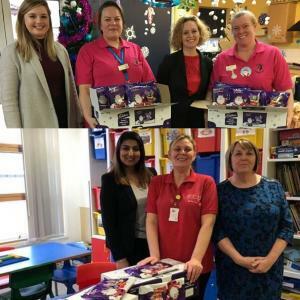 Recently Neelam Maher, Partner and Head of the Private Client team and Vicki Pearce, Head of Court of Protection visited both the Children’s wards of Northampton and Kettering General Hospitals to give out some chocolate treats. Neelam commented “The firm is very active in sponsoring local community projects in addition to supporting many charities. It was a pleasure to visit the ward and meet the team that look after the patient’s day in day out and bring a little festive cheer to both hospitals. Wilson Browne were very happy to recently donate some much needed food supplies to Kettering District food bank. 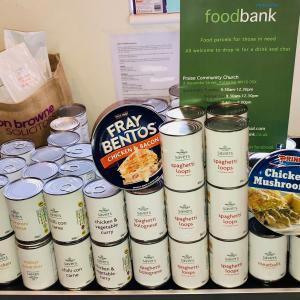 Kettering food bank work with Northants County Council, Trussell Trust, local Churches, and many other partners to provide Foodbank services to those in food poverty. Holly-Rose Setchfield, a member of our Residential Conveyancing Team along with her mum regularly help out at the food bank distributing food parcels to the community. The parcels that they provide contain a minimum of three days’ nutritionally balanced, tinned and dried food donated by the local community. Wilson Browne Solicitors are committed to Corporate Social Responsibility; acting as a responsible employer within the community and ensuring that we put something back. Our recent instructions to act for Clifton Playgroup Limited on a pro bono basis were testament to exactly that. Partner Tom Warrender, head of our Legal 500 recognised commercial property team, acted for Clifton Playgroup Limited in relation to their new lease of the playgroup premises at Clifton on Dunsmore Primary School in Rugby. The client’s current lease was due to expire at the end of July and they did not benefit from what is known as statutory security of tenure meaning they had no statutory right to the grant of a renewal of their lease. The premises are obviously fundamental to the operation of the playgroup and Tom was able to successfully assist the playgroup in negotiating a new two year renewal lease of the premises. Clifton Playgroup provides quality early years education for children aged between 2½ and 4 years in and around the parish of Clifton Upon Dunsmore, Rugby. Further information can be found at www.cliftonplaygroup.org.uk. 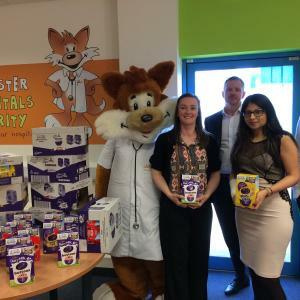 Wilson Browne Solicitors are committed to serving the local community and were pleased to make donations of Easter Eggs to the Leicester Hospital Charity during the run up to Easter. Thousands of children spend Easter in a hospital ward, making it a difficult time for them and their families. Wilson Browne Solicitors wanted to create a little magic to brighten up their spirits and so the firm decided to donate 100 Easter eggs for patients to enjoy. Shivali Kapoor from our Leicester office at Wilson Browne Solicitors commented “The firm sponsors a number of community projects in Leicestershire and Northamptonshire with strong links to many organisations and clubs of all types, in addition to supporting many charities. We donate as much as we can each year to support worthy causes such as the Leicester Hospital Charity”. In July 2017, Partner Ika Částka, gave her time and expertise pro bono to assist the charity in drawing up the terms and conditions of a holiday home for those currently undergoing breast cancer treatment needing a well deserved short break. More recently the Founder of the local charity Glennis Hooper was invited by Ika Částka to be guest speaker at the Law Society awards. She spoke about her life and how a simple crazy idea became the charity reality, whilst trying on hats in Debenhams during Chemotherapy. 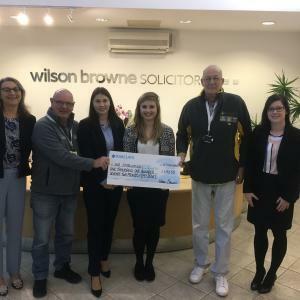 Ika said “We, at Wilson Browne Solicitors, have witnessed first hand what an admirable job Glennis and the team do in raising essential funds for a great cause. We look forward to continuing our relationship in 2018 and supporting their fantastic work. Over £1000 has been donated to the local Air Ambulance Service by Wilson Browne who chose the Charity to be their Charity of the Year 2017. £1172.50 was raised through a number of fundraising events including cake sales and the ever popular quiz nights. We have teamed up with the Northamptonshire Community Foundation (NCF) to create a new fund for community groups in Kettering . NCF has a wealth of knowledge of the need within Northamptonshire and funds community-based action which improves the lives of the county’s most disadvantaged people and communities. Recently this included donating to Youth Works CIC. 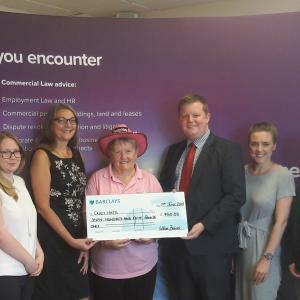 Neelam Maher, Partner at Wilson Browne Solicitors (Kettering office) presented a cheque for £1,000 to Youth Works Corby and Kettering CIC, a not for profit organisation delivering much needed services to young people and their families in the Kettering and Corby area. Close to 100 children are sponsored, not just to go to school, but for uniforms, social & health care. Huge amounts of educational materials are provided by the charity and in addition the school now boasts a two classroom extension which was opened in 2012. Along with providing schooling, the Trust has helped deliver such basic amenities as a new toilet block, which was constructed with eight children’s toilets plus a staff shower and toilet annex. Debbie Hope, Private Client Practitioner at Wilson Browne Solicitors (Kettering office) presented a cheque for £800 to Home-Start Kettering, a not for profit organisation delivering much needed services to families with young children in the Kettering and Corby area. The donation was made via The Wilson Browne Kettering Community Fund, which is in turn managed and facilitated by Northamptonshire Community Foundation. The Foundation has a wealth of knowledge of the need within the Northamptonshire and funds community-based action which improves the lives of the county’s most disadvantaged people and communities. Wilson Browne supports a number of other causes including: Jeans for Genes, Wear it Pink and Movember. In previous years our corporate charity programme has also supported charities such as MacMillan Nurses, The Warwickshire and Northamptonshire Air Ambulance and The Cynthia Spencer Hospice. We are supporters of The Big Orange Stomp, Spurgeons’ annual fundraising day to help change the lives of vulnerable children throughout the UK. We made our own contribution to helping stamp out poverty by being one of the joint highest donors. We were also happy to sponsor the intrepid team from Spurgeons when they did a sponsored parachute jump. As a local employer, we have always made it our aim to put something back in the community and that includes supporting numerous local sports grounds, clubs and various leagues. Oadby Owls is a progressive Charter Standard Community Club which provides boys and girls of all abilities the opportunity to enjoy the whole football experience. Founded in 1968 by some enthusiastic Sheffield Wednesday supporters, hence the name, Oadby Owls Football Club has grown to become one of the largest and most successful clubs in Leicestershire today. The club now fields 35 teams of all ages and runs a thriving Saturday Football Academy where up to 250 young children attend each week. 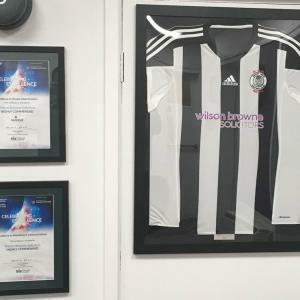 As well as developing the football skills of its members, Oadby Owls positively promotes and interacts with local community initiatives which is why Wilson Browne is proud to support the club. 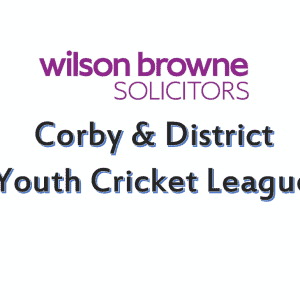 The Wilson Browne Youth League covers the clubs in the Kettering & Corby District with leagues for Under 11, 13, 15 and 17. As long time sponsors, we were pleased to attend the annual awards, attended by Ika Částka who has supported the league for some time, in no small part due to her professional and personal interest owing to a family love and participation in the game – both of her sons have played in the League. As a local employer, we have always made it our aim to put something back in the community and that includes supporting numerous local sports grounds, clubs and various leagues. Whether supporting under-privileged children in the Gambia, being a main sponsor for the Pride In Northamptonshire Awards and similar, or simply lending support to local activities, it always give me great pleasure and pride that Wilson Browne Solicitors is able to help. We are delighted to be supporters of the Evening Telegraph’s annual Pride in Northamptonshire Awards which recognises some of those that have done Northamptonshire proud. We are proud to sponsor the Wellingborough Orpheus choir which is a 40 strong amateur mixed voice choir who mainly sing major choral works but also songs from the shows, gospel music, operetta and other light music. Wilson Browne solicitors are proud to be sponsoring this year’s pantomime at The Lighthouse Theatre…Aladdin. 2018 marks the second year of the two organisations working together after a hugely successful, and record-breaking, Snow White and the Seven Dwarfs which played to over 17,500 people last year. The Kettering panto promises to be even bigger and better than before. We are proud of our involvement in our local communities. We have Treasurers, Committee Members, Governors and other roles at many local sports clubs and educational establishments such as pre-schools, primary and secondary schools, churches and other organisations. Many of our lawyers are actively involved with Rotary Clubs across the East Midlands, where we raise money for local and national charities.